US consumers will soon be able to use their voice to order groceries directly from their fridge with the latest edition of Samsung’s smart connected fridge platform and an updated version of the Groceries by Mastercard mobile app. Family Hub 2.0 will also expand availability from four refrigerator models to 10. “Later this year, consumers who have the refrigerator can use voice search to look up items by either brand or product and order from leading online grocer FreshDirect,” Mastercard says. “For example, they can say ‘search for ketchup’. Once options show up on the screen, they can then select the item and add it to the virtual cart all via voice and also select a slot for delivery. 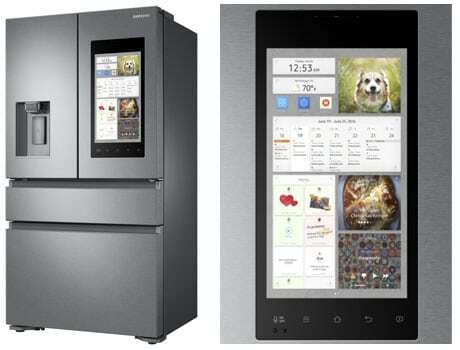 Other updates include internal cameras to help consumers determine which items need to be replenished and a new interface that enables family members to create their own profiles, using avatars or personal pictures, and share photos, memos and write calendar invites through their smartphones, which are then displayed on the fridge’s 21.5-inch LED touchscreen. Samsung is also collaborating with additional partners including Grubhub, Nomiku, Glympse, Ring, Spotify and iHeartRadio to provide “further upcoming choices for food delivery and cooking, location-based safety and home security services and entertainment offerings,” the company adds.